This is #SparklingSpotlight, where we profile wineries with a focus on fizz! 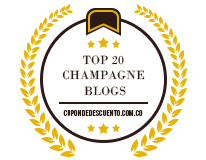  These wineries strive for sparkling greatness, and make the world a more effervescent place. Sparkling wine production takes scientific precision, dedication and patience, and we celebrate those bold enough to craft it! So, without further ado, let’s focus our #SparklingSpotlight on… Hinterland Wine Co.!